The heartbroken mother of a Sydney teenager who died after drinking a fatal cocktail has finally broken her silence. 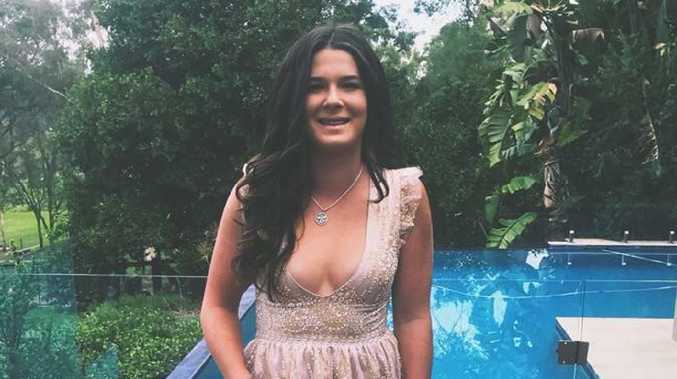 In June this year, 15-year-old Paris Kamper described as a "bright, talented light taken too soon" by her friends - was found unconscious at a home at Kenthurst, in Sydney's northwest. 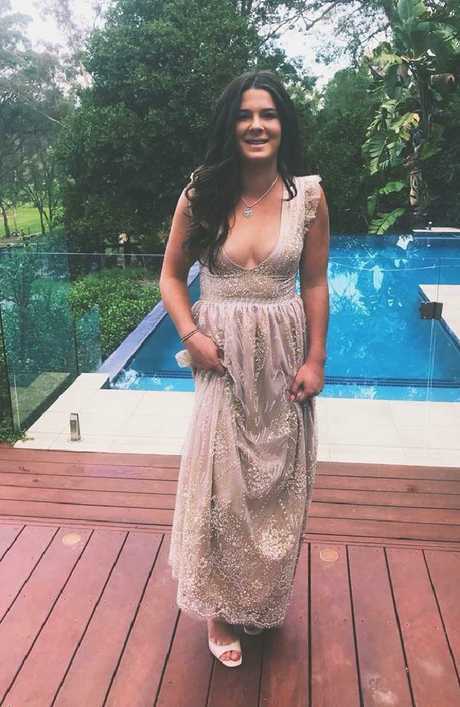 The much-loved teenager had reportedly been drinking alone and returned a blood alcohol reading of 0.4, which is eight times over the adult legal driving limit. She was rushed The Children's Hospital at Westmead but died there two days later. The young girl's mother, Sandy, was at her daughter's bedside when her life support was switched off after three days. "They let me stay with her another night, then they turned the machines off," Ms Kamper told Nine News today. "It was a forever decision," she added, bursting into tears. Paris' mum broke down in tears while talking about her death. Ms Kamper said she wants her daughter's tragic death to serve as a warning to other children in the age of social media. "Our children are under assault," she said. 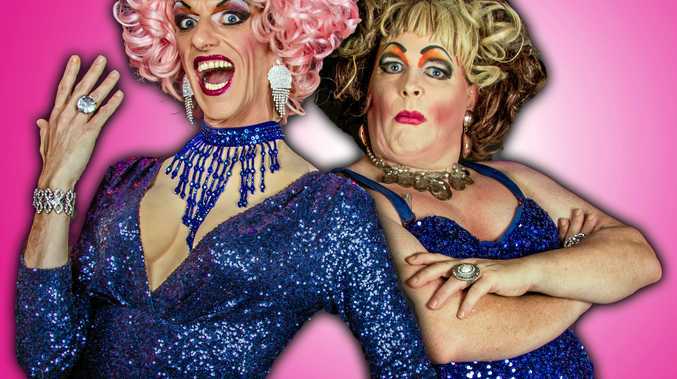 "They are being swamped by social media, seeing things they shouldn't see. "Often what they see on there is louder than your voice as a parent." She said she wasn't sure why her daughter didn't tell her about the fatal cocktail. "She told me everything, everything," Ms Kamper said. "I don't know why she didn't tell me this. "I don't think she thought it was that bad or dangerous, I don't think she thought too much about it." Paris Kamper died after drinking a concoction of alcohol, energy drinks and lollies from a recipe she found online. Paris’ heartbroken mother has finally broken her silence. In June, while giving her daughter's eulogy, Ms Kamper said she hoped her daughter's death would save other lives. "I ask today that this not remain a sad story. I pray that her mess turns into your message," Ms Kamper said at the Hillsong Chapel at Baulkham Hills in June. "That every person listening to me right now find the strength, courage, resilience, truth and conviction to speak her story. "For each of us to think deeply about what example are we displaying to our children and every young person that follows in our footsteps." Paris (R) died in June. 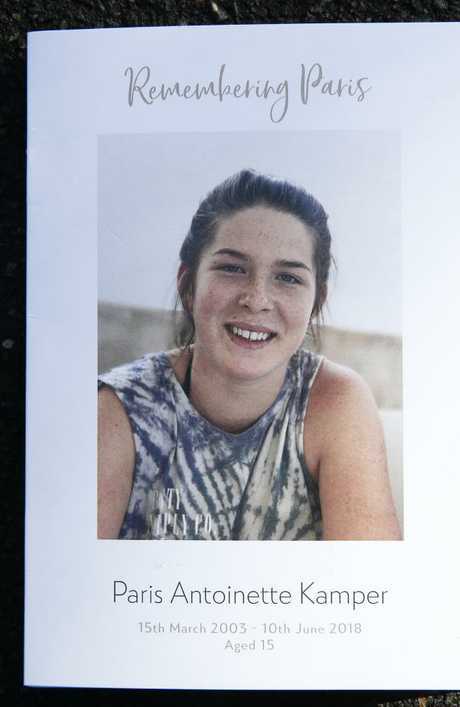 Her father also spoke at the service today, saying losing his daughter was one of the "hardest things in the world". "I know God took her at our place but she stayed on so we could let her go at the hospital," Mr Kamper told the funeral, according to The Daily Telegraph. "She was a scallywag - she was a really, really funny kid. Losing your daughter is one of the hardest things in the world." Paris’ mum and sister pictured at her funeral in June. 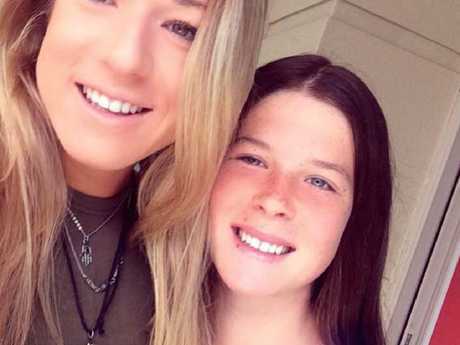 According to The Australian, the 15-year-old student's older sister, Olivia, gave the formal eulogy, remembering her sister fondly as someone who could "get away with anything". "She was my sister, best friend, partner in crime and now she is my guardian angel," Olivia said. "Everyone thought she looked up to me but in reality I looked up to her."